Lemoore area students are sharpening their pencils and dusting off their notebooks in anticipation of their return to school this week. 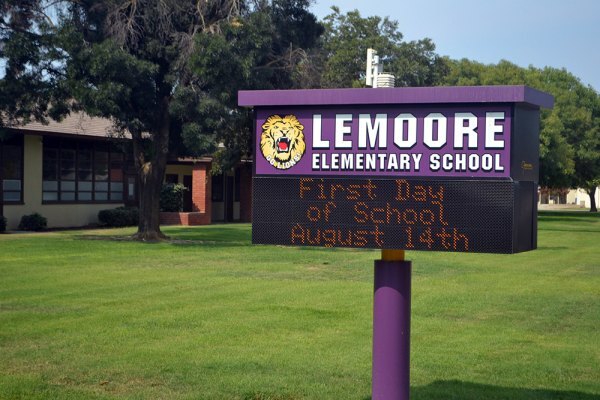 Lemoore High School students return to classes on Wednesday, August 15 while Lemoore Elementary opens its doors to students Tuesday, August 14. The Lemoore Elementary School District welcomes students as the new school year begins this week. The Lemoore High School District’s Middle College High School began school August 8 as 244 students prepared for 2018-19 classes. Jamison High School, the Lemoore High School District Alternative Education campus, with 83 students, will open its doors to students Tuesday. Lemoore Elementary School District Superintendent Cheryl Hunt is looking forward to another exciting year. Hunt told The Leader the district is expecting 3,286 students to begin school this week, a figure up slightly from a year ago at his time. She said the district continues to accept kindergarten registration and new student enrollment at its six schools. Hunt told The Leader her teachers would spend a considerable amount of time during the school’s professional development days focusing on literacy along with diving into the Next Generation Science Standards (NGSS), which the district intends to implement by the 2019-20 school year. 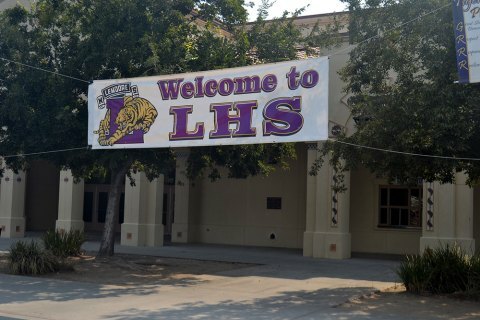 Classes begin Wednesday at Lemoore High School as the local district continues its upgrades. Tiger Stadium should be ready for this week's football opener. The local elementary district’s work seems to have paid off. During the 2017-18 school year, its schools received recognition for their efforts. In February, Liberty Middle School was honored as a California “School to Watch," and in May the Campaign for Business and Education Excellence (CBEE) named the middle school as one of 1,798 public schools in California to be recognized for its achievements. Despite all its 2017-18 success, Hunt said there had not been many changes administratively this year, but the district has hired 23 new teachers as the school year begins. She said an additional school nurse comes on board, and the district will incorporate physical education teachers at the elementary sites this year. Lemoore High School Superintendent Debbie Muro is looking forward to a positive year as the district is expected to welcome nearly 1,900 students to first day classes. Muro says the district’s flagship, Lemoore High School, welcomes 13 new teachers. The school hired new staff members for English, social studies, math, special education, Spanish, and physical education classes. A new assistant principal, Sonia Gonzales, was hired to replace former assistant principal Valerie Botelho, who in turn was selected to lead Jamison High School. She replaces the longtime coach, teacher, and administrator Sandi Lowe, who retired earlier this year. Lowe was a longtime staple at LHS where she excelled as a student-athlete, coach, teacher and award-winning administrator. Hopefully, students won’t be deterred by the physical changes occurring at the main campus as school officials continue to implement Measure L, a $24 million bond measure to renovate much of the nearly century-old campus. The most visible sign of change has been the renovation and updating of Tiger Stadium. Muro says the stadium will be ready for Friday’s first football game, a home contest Friday against Clovis East - minus permanent electricity. Muro, who said PG&E hasn’t hooked up the power, but generators will be brought in to provide lights and services. She said the district expects the lights to be hooked up by the next game. The new-look stadium will boast two new combination restrooms and concession stands, a press box, and new ticket booths. She also said renovation has already started on an older building on campus that will be turned into at least four engineering classrooms. Work on a new academic building will begin next summer. The new building will replace the old gym that sits in the center of the campus.